A $15 million congressionally directed program called Rapid Agile Launch Initiative is funding the Rocket Lab mission. WASHINGTON — A contract awarded by the U.S. Air Force to small launch provider Rocket Lab for several missions in 2019 is part of a larger effort to use commercial suppliers and rapid procurement methods in space programs, officials said on Wednesday. The Air Force is seeing a growing demand for smaller satellites “that need an affordable ride to space,” Col. Robert Bongiovi, director of the Launch Enterprise Systems Directorate at the Air Force Space and Missile Systems Center, told reporters during a conference call. “That is what our small launch division in Albuquerque [New Mexico] is doing,” Bongiovi said. Much of the demand is being generated by the DoD Space Test Program, which is responsible to secure launches for experimental spacecraft that are smaller and far less expensive than traditional military satellites that are launched aboard big rockets under the National Security Space Launch program. The DoD Space Test Program, located at Kirtland Air Force Base, New Mexico, is part of Space and Missile Systems Center’s Space Development Corps. The Space Test Program awarded Rocket Lab the STP-27RD mission in October 2017. 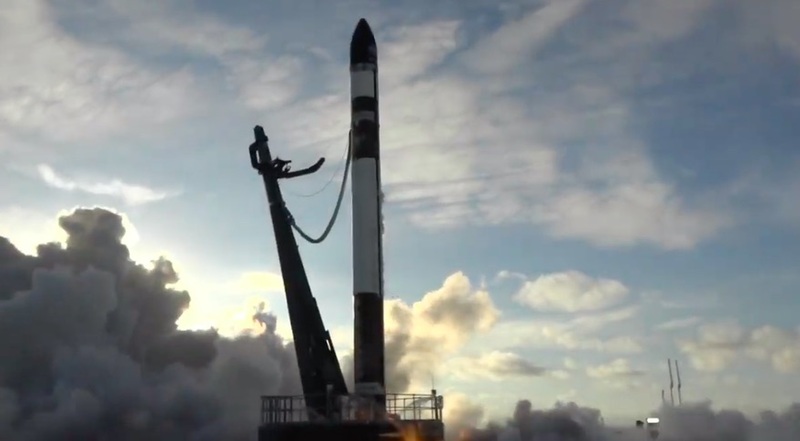 Three satellites will be launched to low Earth orbit later this month from Mahia, New Zealand, using Rocket Lab USA’s Electron rocket. For this mission, the Air Force used funds from a congressionally directed program managed by the Defense Innovation Unit, called Rapid Agile Launch Initiative. Congress started the program with $15 million added to the Pentagon’s fiscal year 2017 budget. The program grew to $25 million in fiscal year 2019. Congress created RALI to “competitively and rapidly award DoD launch service agreements with non-traditional, venture-class companies,” said Col. Bernard Brining, director, of the DoD Space Test Program. The upcoming Rocket Lab launch is one of five planned in 2019 under RALI. Five small launches will send 21 experimental satellites to space by the end of December, said Lt. Col. Andrew Anderson, chief of the DoD Space Test Program Branch. Lt. Col. Ryan Rose, chief of the small launch and targets division at the Air Force Space and Missile Systems Center, said the work now done under RALI will transition to the program known as Rocket Systems Launch Program, which received $47.6 million in fiscal year 2019 and could get an additional $12 million in 2020. The funds will be used for the Space Test Program mission 28, or STP-28. A request for proposals from vendors will be issued this summer, said Rose. This mission will be for a mix of micro satellites and nano satellites. The Rocket Lab and other RALI missions follow commercial practices and Federal Aviation Administration licensing. STP only provides a “do no harm” assessment on the payload stack. As a commercial mission, neither the Air Force nor DoD has launch approval authority.